Get All Files and Folders from Dropbox. The main objective of writing this blog post is to guide the developers to implement the Dropbox API in android, by providing step by step guidance and easy to understand the implementation of Dropbox API. Dropbox API is the Application Interface provided for android devices. This API allows your mobile app to store and sync files with Dropbox. This API facilitates your mobile app with its own private Dropbox. To implement Dropbox API successfully in your application. Follow the steps mentioned below. Go to Url and complete the authentication process as shown below. After authentication click on Create app button for creating custom app. Select the Dropbox API app as shown below. Select the type of data needed in your app to store on Dropbox, here select Files and data stores. Set the privacy statement for your all, here select No for accessing files which are already on Dropbox. Step 6 What Type of files does your app need access to? Specify the type of files accessed by your app, here select All types of file which grants full Dropbox access. In the textbox type your application name, if that name is already registered then you cannot create with the same name. After inputting the desired name of your Dropbox app click on Create app button. You will be redirected to your dashboard screen which contains all the useful parameters. You have to use that parameters in your app to access Dropbox account from your device. Here as shown in the figure below the App Key and App Secret provides unique key, which you have to pass in your application to access your Dropbox account form mobile devices. Note that In Permission type will be Full Dropbox access. 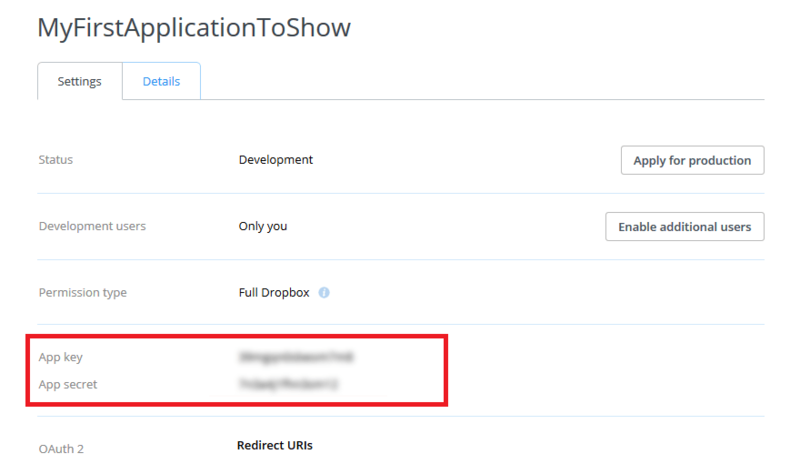 To implement Dropbox API in your project, you are required to download SDK for Dropbox. You are required to download dropbox-android-sdk.jar and place this file in your Libs folder in your android project as shown below. Implementation of Dropbox in your project. Apply DROPBOX_APP_KEY and DROPBOX_APP_SECRET as a constants and copy the values of both the constants from the created application previously shown in STEP 8. Create Session which allows your application to authenticate to Dropbox API. Add the below lines in onCreate() method. In the above AndroidManifest.xml file there is a line of android:scheme, which contains the key. You are required to change the key value of your application which you will found form Step 8. Apply the code below in onActivityResult() method to complete the authentication process. DIR is the name of directory of Dropbox where you can upload your files and folders of specified directory. F: f parameter in UploadFile() is a file object which you want to upload in Dropbox. 10.7 Get All Files and Folders from Dropbox. 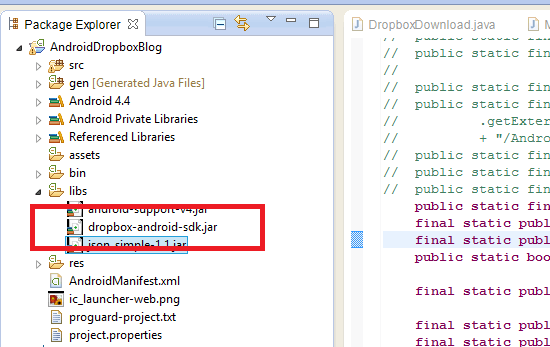 I hope you find this blog is very helpful while Integrating Dropbox API in Android Application. Let me know in comment if you have any question regarding Dropbox API Integration in Android. 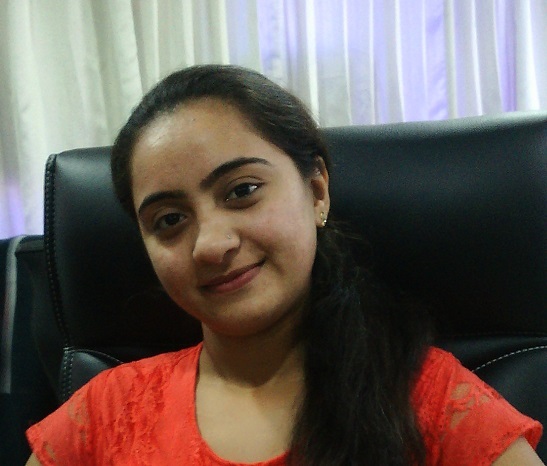 I am android developer, and do development not because to get paid or get adulation by the public, but because it is fun to program. I have been working in this field since one and half year.